Today would be my grandpa’s birthday. Since his birthday was a week after Dad’s we would often have a joint celebration for them. With them both being Capricorn’s they were similar in nature. My Mom often said his bark was worse than his bite. After he retired he took a class on how to do caning at a local college. He did his work in the guest bedroom. This photo evokes so many memories. The ugly hall carpet. The cabinet behind him was their pantry and they also had an extra freezer because grandma made jam that she put in freezer. Grandma always had extra cans so if we ran out we would often call her up do you have this and one of us would run over. Mom would call it the store if grandma. When we were little we had a door separating the dining room from the living room. I was never a fan of the covering that my grandparents used but since you could see the kitchen when you came in the hall I could see why they had it. I wish I knew why he was dressed up in this picture. Grandma was the photographer in our family as grandpa usually had a portion of his thumb in it. I’m sure this was probably a I need to use up the roll so let me take your picture. When we were born we were a surprise. My Mom didn’t know she was having twins until she was at the hospital. One of us was usually behind the other one so the Dr only heard one heart beat. When my grandmother told my grandfather he said “now, there’s one for each of us”. He was so proud he would take us around to his coworkers. When we were born he said we were so tiny we could both fit in one arm. He and Janet had a special bond. In our picture as babies I was with grandma and Janet would be with grandpa. They loved all their grandchildren and had our pictures all over the apartment. When they went to Florida in the winter they would take our pictures with them and put them on the dresser or side table. And they always brought us back a souvenir. 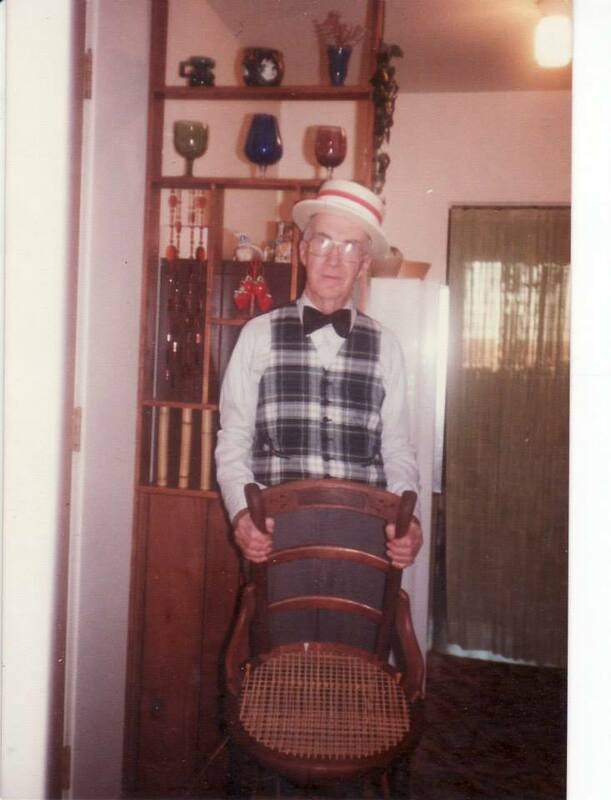 Like my Dad my grandfather loved his family deeply and was fiercely protective of them. My grandfather was devoted to my grandma and when she died he was lost without her. When he died less than a year later I think we all had a little smile at them being reunited. Pictures evoke so many memories. Last year my grandpa passed away and it was the first time I lost someone so dear to me. Whenever I see any of his pics so many thoughts start bubbling up in my mind. Yeah pictures really evoke memories.